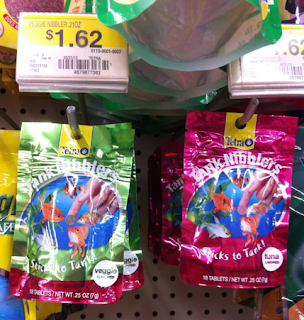 Free + Overage Tetra Fish Food Nibblers! = Free + $0.38 overage! NOTE: To change the zip code, click on the "Local Coupons" tab, enter the zip code in the box and click the little arrow to the right. THEN, click on the "Coupons" tab to find the regular coupons. Thanks for deal and photo, Real Housewives Clip Coupons!